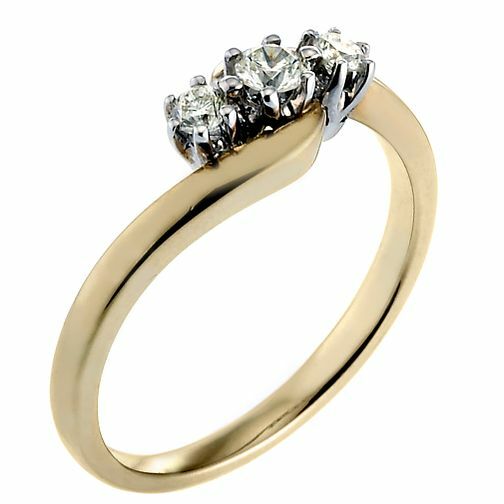 9ct Gold Quarter Carat Diamond Trilogy Ring is rated 4.7 out of 5 by 3. Rated 4 out of 5 by Anonymous from Engagement Ring This is my engagement ring purchased in December 2011. We looked around and saw similar rings for much more. Defiantly worth the money! I still love it, and it is still as shiny.